The NZXT Sleeved LED Kit re-images the way enthusiasts sets up lighting inside the computer case. 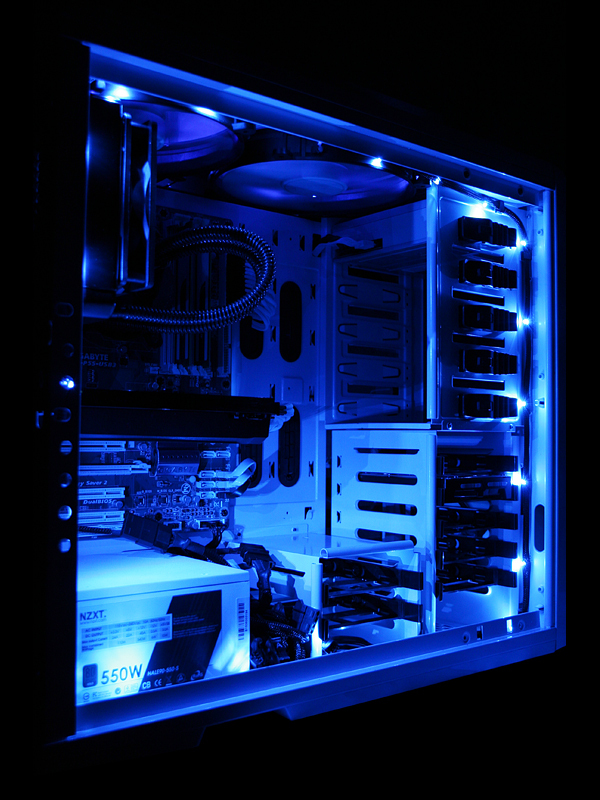 Traditionally, cold cathodes and even solid LED boards take up large amounts of space inside the case. 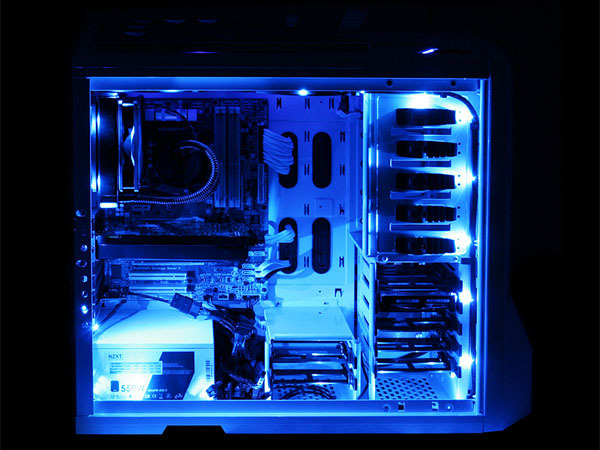 Using sleeved wires paired with high density amount of LEDs, the NZXT LED kit allows users to hide lights between side panels and under components, creating an amazing glow effect. Lastly, the NZXT Sleeved LED Kit is paired with a three step light sensitivity and on/off light function via PCI keeping the LED kit stealthily hidden away while unused.